The most advanced visual acuity screening app for iPhone and iPod Touch. 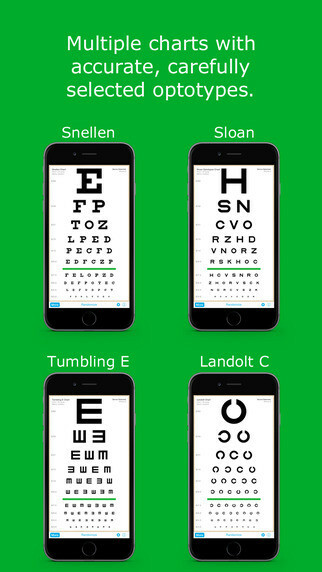 EyeChart is a generator for randomized Snellen, Sloan, Tumbling E, and Landolt C charts to offer a rough but useful screen of visual acuity. 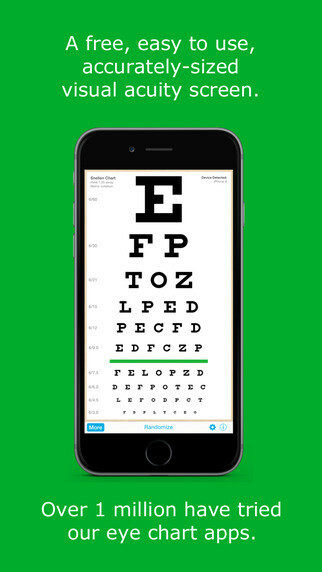 Simply press a button to randomize the entire eye chart, or touch an individual line of the chart to randomize that line. Swipe right for the chart selector.